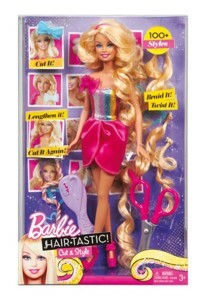 Chelsea doll and her friends love to play outside! this fun play set lets imaginations tell the best backyard stories. The translucent blue pool makes waves with a sun-adorned striped umbrella that attaches to the side. 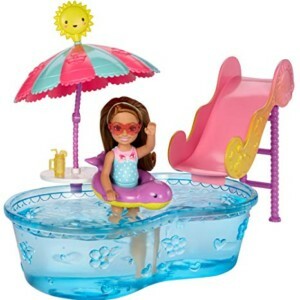 Fill with water and send Chelsea doll up the ladder and down the colourful slide to make a splash. 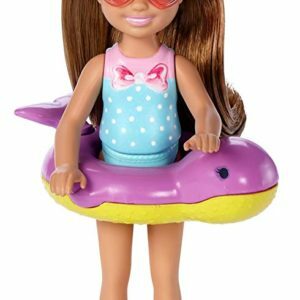 An inner tube and Smoothie brighten storytelling even more. 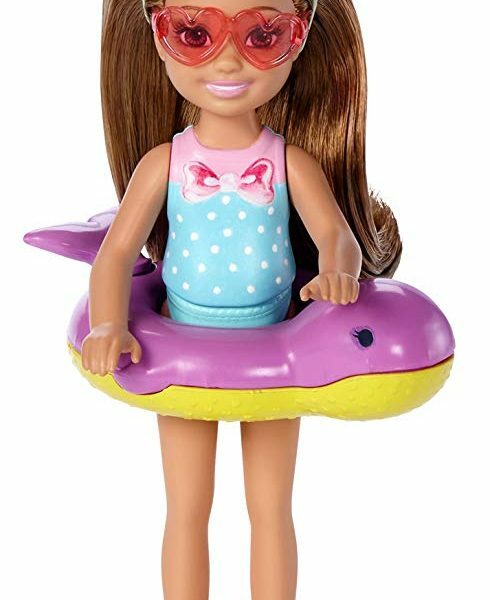 Barbie doll’s littlest sister is ready for fun in the sun in a blue swimsuit, matching ruffled skirt and pink sunglasses. 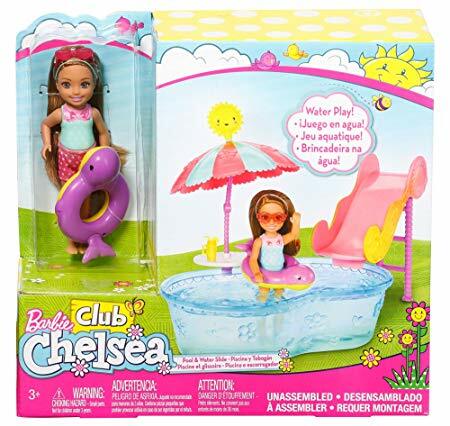 includes Chelsea doll wearing skirt and sunglasses, swimming pool with slide and umbrella, inner tube and Smoothie.